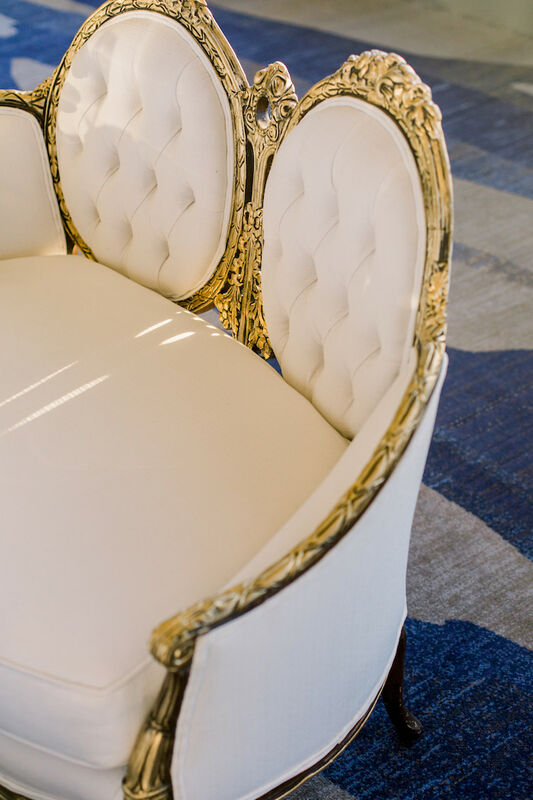 Chic, romantic and detailed Louis XV-style settee freshly upholstered in off-white with gold ornate wood trim. If you want your event to stand out, Ashley is a show-stopper with tufted buttons and dual cameo backs. Photos by Shanna Castro and Molly & Co.